I am in love with subtle feather accents ever since Louis Vuitton’s Spring 2012 show, see how they are added here around embellishments on the skirt. 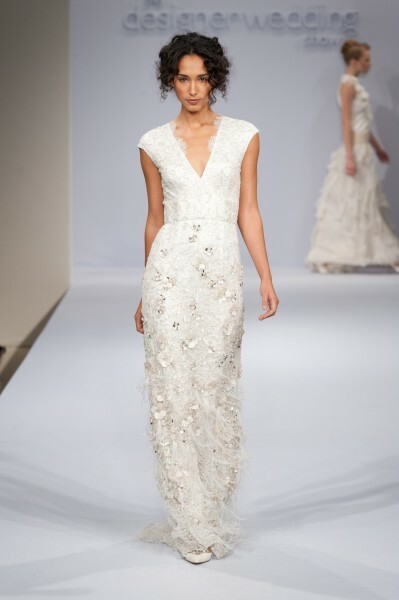 This short version would be perfect for city luxe Brides. Such luxurious beadwork on this bodice and the racer style neck is an unusual twist.